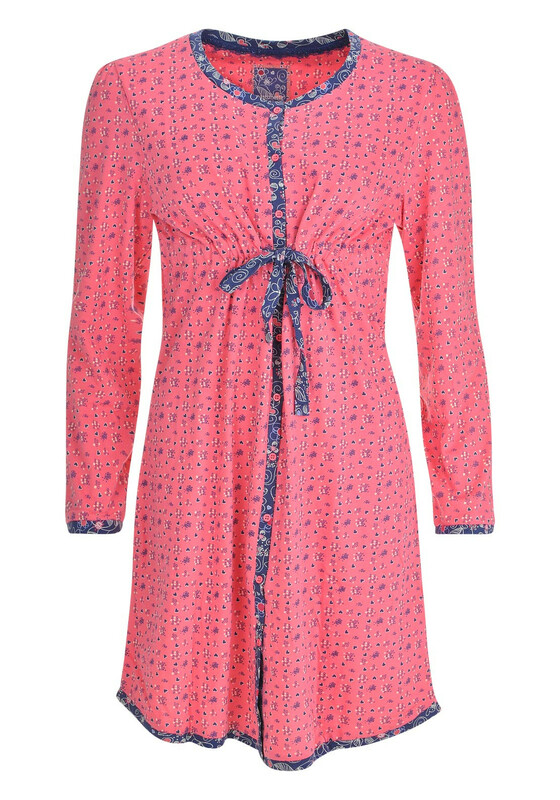 A gorgeous stylish long sleeve pink nightdress with a navy heart print from Pastunette. 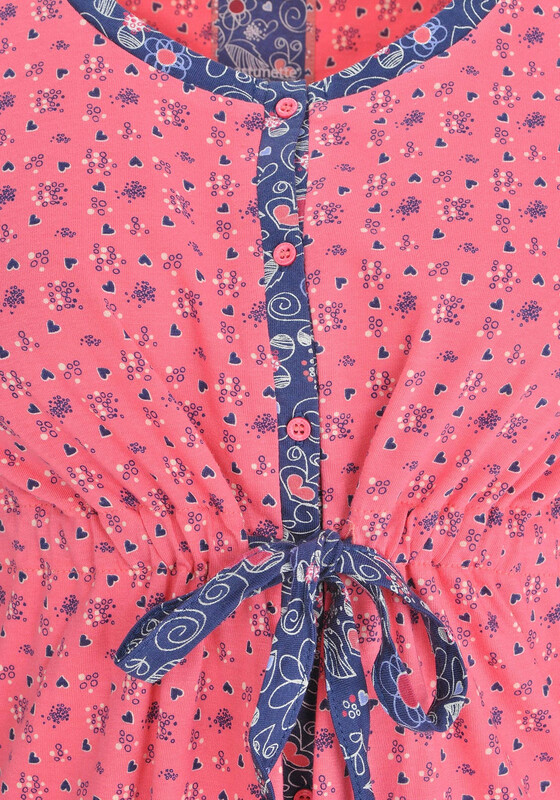 It has a button down front and a gathered waist with draw strings. 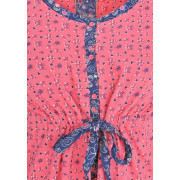 The neckline, sleeve cuffs, button front and nightgown trim have a lovely navy floral design. 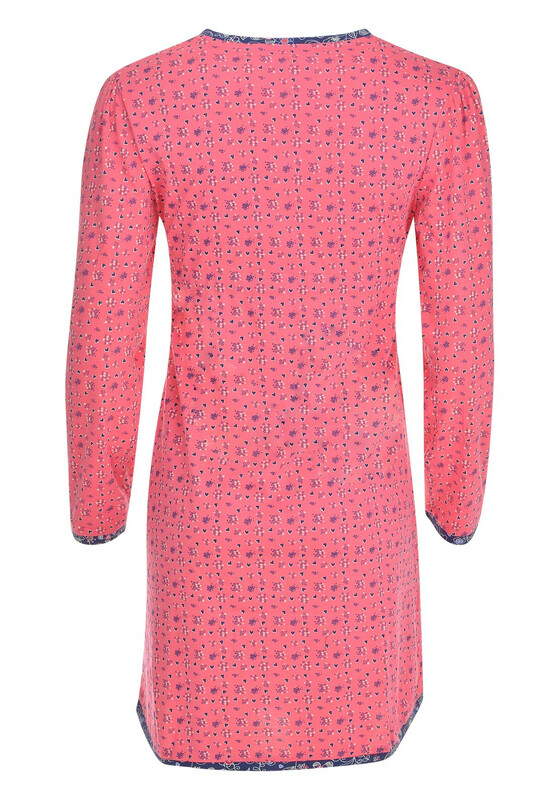 A great night dress you can mould to your body shape. It is made from a soft light material that will be so comfortable.